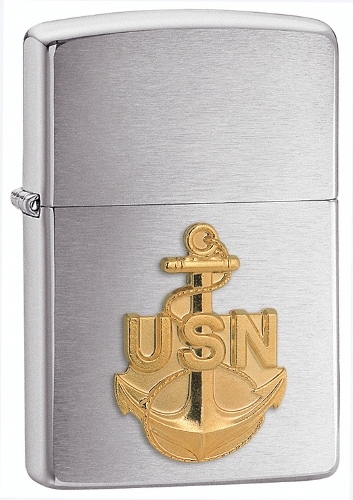 280ANC U.S. Navy Anchor EmblemZippo Lighter. All Zippo lighters are made in the U.S.A. and come with a lifetime "fix it FREE" warranty. If any Zippo product should ever fail just return it to Zippo mfg for a FREE reapair. No sales receipt, no questions. Just asimple no-nonsense warranty on a great American made product.